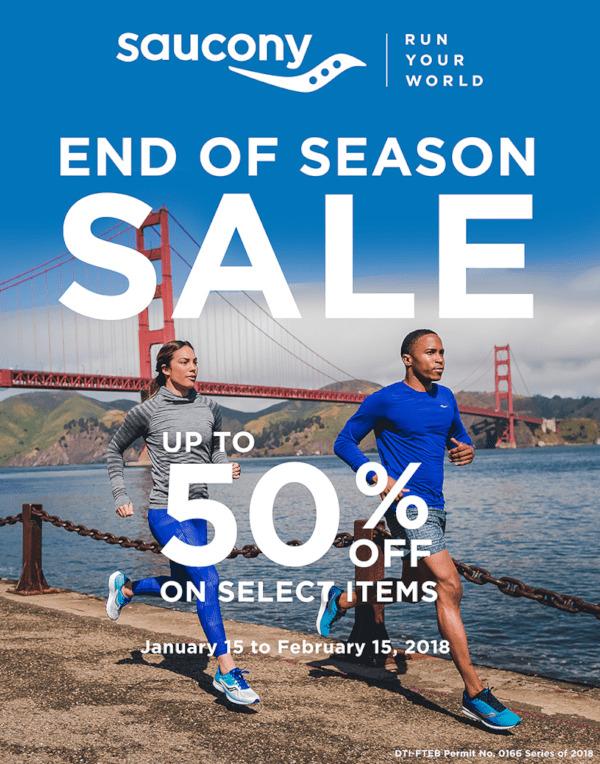 Saucony End of Season Sale! Score up to 50% off on selected items from Saucony! Be sure to drop by Saucony stores in Glorietta, Trinoma, and UP Town Center on January 15 to February 15, 2018!